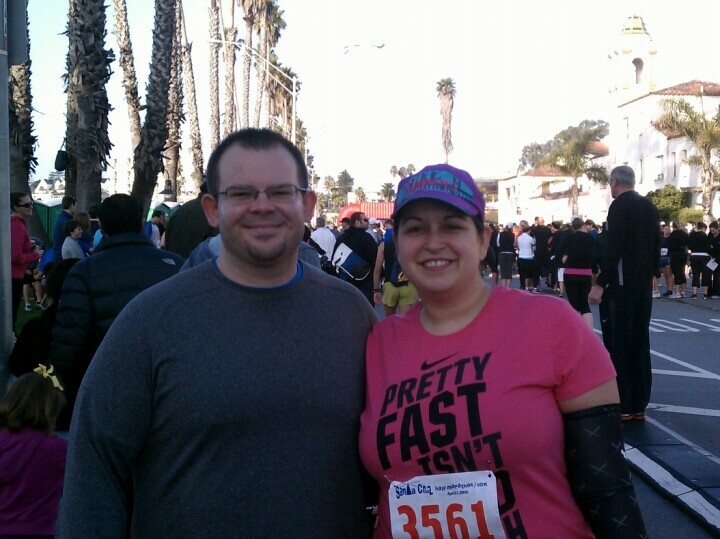 Yesterday A and I ran in the Santa Cruz Half Marathon/10k. Even though it’s tax season. Even though A’s made it to the gym only a couple of times this month. Even though I haven’t done any significant distance running since October. And it was great. Just enough of a challenge to push us past our comfort zone, and I have to say, I’m super proud of Team Aylesworth. before - all optimism and smiles. after - gorgeous day to run, and still smiling! This was A’s first race ever. The most he’s ever run at once was five miles, and that was while I was training last year. I told him I was sure he’d be able to pull it out. When he hits the gym he usually does 2-4 miles, so I figured six would be a good stretch. Since he hasn’t been working out as often as usual, and I haven’t put in the straight miles of running lately, we decided to do a run/walk split. A is a much stronger runner than I, but he did a pretty good job of not letting me fall too far behind. 🙂 I wanted to average under 15:30 per mile since it was a run/walk, not too speedy, but we wanted to keep it manageable. Not only did we average 15:15, but we stayed pretty darn consistent! 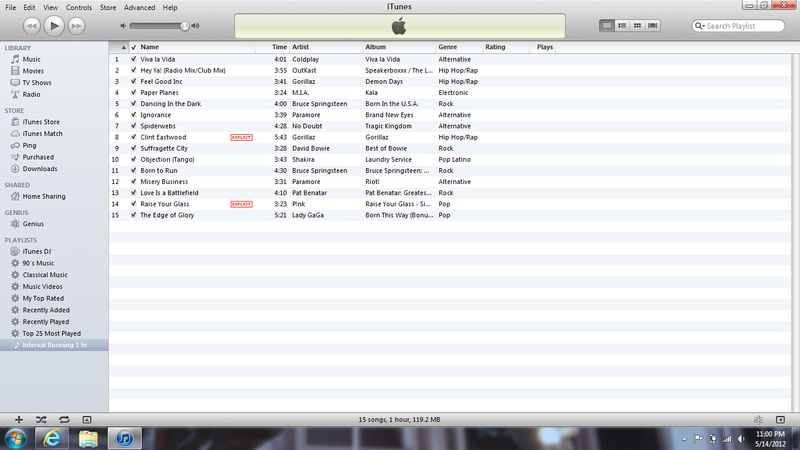 Not bad for two newbies. at the last mile, the effects of my insomnia from the night before started to kick in. Even though my legs felt great and my energy was fine, I really wanted a nap. I’d planned to run the whole last mile, but told A to go on ahead without me. He did, and finished in 1:28:26, which is an automatic PR since it was his first. Then the big sweetie came back for me; I’d decided to say “screw it,” and run the last ten minutes of the race once I could see the finish line. 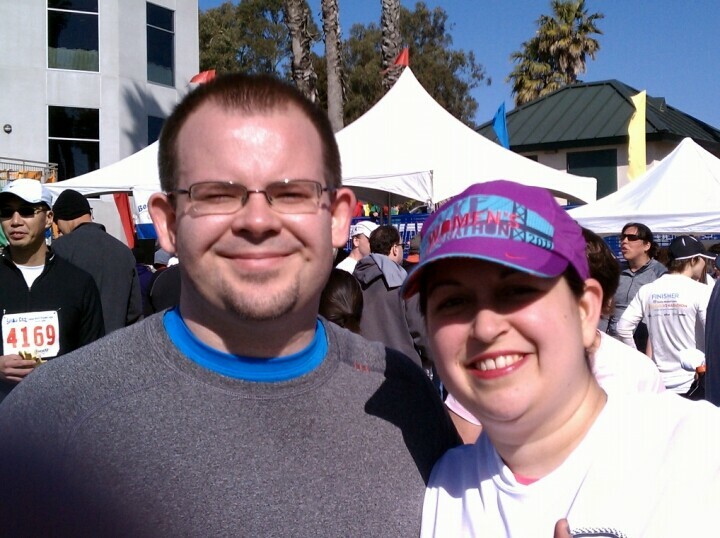 We crossed the finish line together at my time of 1:34:30. This was better than my average at Nike last year, so PR for me too! When I got home I realized that what I’d thought was allergies was really the beginning of a pretty bad cold, so I’m even more proud of how we did, considering how crappy I feel today. The course was gorgeous – sunny Santa Cruz at 54 degrees. It was windy, and the wind was blowing against us the whole way. Odd, I’d hoped we would have it at our backs going back, but no such luck. The waves were huge, and lots of people doing their usual Sunday morning runs with us. There was a good turnout, but it wasn’t so crowded that it took us more than a minute of two to pass the starting gate. The one thing I didn’t like was that they started letting cars back through the road really quickly I thought. We started having to dodge them at around mile four, and we were far from the end of the pack. Only the front-runners of the half had made it back by then, so I don’t even like to think how the middle of the pack/stragglers dealt with it. No bueno, Santa Cruz, no bueno. All in all, it was awesome to do this with my husband. He never thought he could run until he saw non-athletic me training and figured that if I could do it, well…. It’s odd to have more experience doing something physical than he, quite a turn around from our usual lives, but I’d be lying if I didn’t say it was a bit of an ego boost to help him out as he’s starting to add mileage to his running shoes. We’ll be lacing up to start training for a half soon, and will be hitting the San Jose Muddy Buddy in September, just for kicks. Want to come?